Windows Phone 8 was a huge update over the initial WP7 bringing support for key features like multi-core processors and microSD cards, but since it launched Microsoft has been very quiet when it comes to updates. The company basically hasn’t released anything major since then. Now, we have just saw it detail the changelog of a minor update that’s coming up, the General Distribution Release 2 (GDR2). It brings improvements to Xbox Music, an FM radio feature, and the capability to set a camera Lens as the default camera app. Some other stability improvements and minor changes are coming with it too, but nothing big. Why is that and what is Microsoft doing, you might be wondering. Whispers say Microsoft has entered “shut up and ship” mode as it has fully focused on delivering a massive Windows Phone Blue update and that’s coming up in 2014. 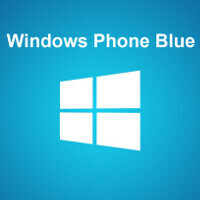 Windows Phone Blue should introduce huge changes like a new notification center, better multitasking, and changes to the core Windows Phone apps, according to The Verge. It is also possible that some of the WP Blue features arrive earlier as part of a GDR3 update coming later in 2013. The biggest novelty coming with it will be support for 5-inch and 6-inch Windows Phone devices with 1080p screens and quad-core chips. Those devices will also come later this year. A lot of the current features will support all future phones so you’ll have nice unified support across devices. Interestingly, Microsoft is said to have wanted to deliver a number of smaller updates to Windows Phone earlier this year, but bugs and other issues have stopped it from doing so. Still, it’s clear that the company is cooperating closely with vendors and Windows Phone chief Joe Belfiore himself has said: "I wrote more than 10 pages of feedback myself on the Nokia Pro Camera app as it was being developed." Microsoft obviously realizes it has a lot of catching up to do, and hopefully it will deliver with updates in the near future. From this point of view, its silence recently might be actually encouraging. Go wp! Go wp! Let beats IOS and Android! I hope no "King" rises. Competition is always a good thing, having a monopoly is horrible. Just see Verizon/AT&T who have a duopoly on the wireless industry in America. Horrible customer service, each raising prices has they wish and not having to compete seriously with each other because the other also raises there prices when the other does. Or Samsung who pretty much has a Monopoly on the Android market. They haven't released anything inventive in a while. I'd be thrilled with a 50% Android, 25% WP, 25% iPhone market. Anything is better than the current (or at least until Nokia went WP) duopoly. Lol, so there's no BlackBerry OS in your perfect world? :P I'd like to see it become a 4 way tie between the OS's. I'm only looking a year or two down the road. Ubuntu will have a tough uphill climb, even with wide support. Ubuntus mission of using only free and open source will cut it off from most major apps. And most of their knock offs aren't very good. Ubuntu touch is lovely, as is Sailfish, but if lack of apps as hurt WP, what will it do to them. Now that's dreaming. No way is Blackberry going to beat iOS. Why the size and resolution restrictions? due to windows age. It´s still a young system but with every update they add more and more. I don´t understand this hated toward microsoft. Is it due to their infamous history related to pc market? Android didn´t look too well at this stage of its existence. Ics was the first really good version of google´s system. After donut, froyo, gingerbread and other minor updates. The direction wp is heading is different from android´s. It was meant to be as simple and effective/flukd as it could get. Now, it´s time to polish it and add some customization. "I don´t understand this hated toward microsoft. Is it due to their infamous history related to pc market?" I think you hit the nail on the head. That's pretty much why I've seen people dislike WP8, because they dislike Windows 8 they assume they won't like this OS which looks just like it (but preforms much differently, it's almost like comparing iOS to Mac OS in that regard, IMO). Windows Phone is much easier to use but people don't give it a chance due to having "already" used it on there computer. And I find the Metro interface works better on a phone than a PC or even a tablet. But even I would have a hard time embracing Windows Phone because it's still Windows. It's a silly prejudice, I know. But (stock) Android appeals to the anti-establishment geek in me in a way WP8 never could. FHD on 5-6" is not overkill, ask any owner and they'll tell you they notice the difference going back to low-res. At the end of the day it's the content that matters and we're used to view stuff on 1080p on TV, monitor and laptop, therefore it's the resolution to have on tablets and phones as well. Smaller the screen the closer it is to your eyes, so it's not a size thing but a content thing. What I don't understand is why can't W8 devices scale like Android? I'm sure Nokia would've wanted to release a 1080p screen, or Sammy who like to be first at everything, but there are the restrictions, and I simply wonder why.